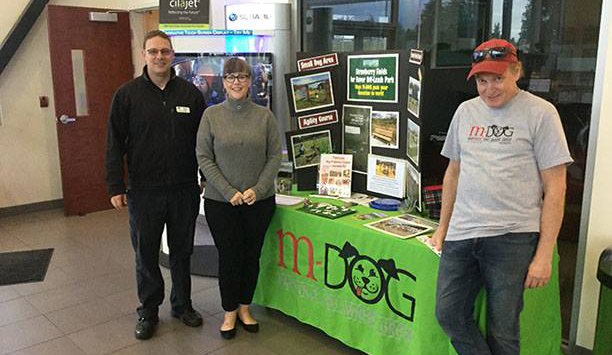 Roy Robinson has partnered with M-DOG to raise funds for a covered shelter at the Strawberry Fields Rover Off-Leash Park. During the month of April 2019, Roy Robinson will be donating $15 to M-DOG for every new Subaru sold. M-DOG President Doug Buell was at the display in the Subaru showroom with Finance Manager, Bev Cain, and Sales Rep, Cory Hymas. Over the years, Roy Robinson has been a big dog-lovin' supporter of the dog park and Marysville Poochapalooza.